At Microsoft’s Windows 10 event today, the company unveiled big news for fans of the company’s Xbox console. Phil Spencer, head of Xbox at Microsoft showed off a number of new features to bring Xbox to Windows. 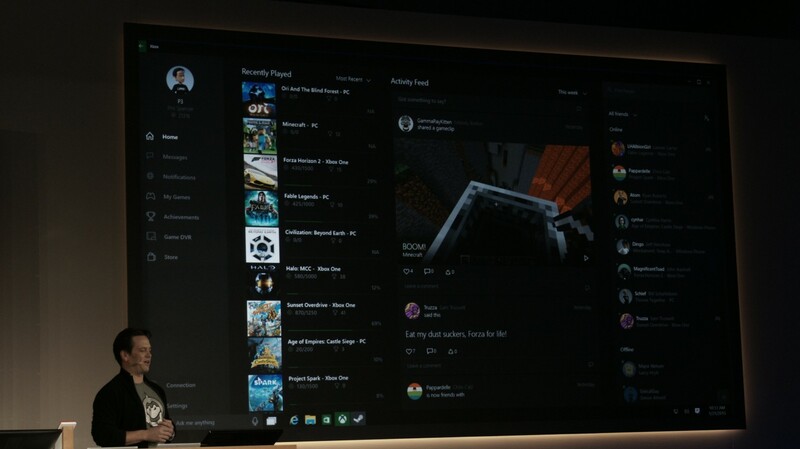 The new Xbox app will allow you to check your messages, activity feed and other information right from your PC. With the new app, you can use voice and text chat with friends from your PC. 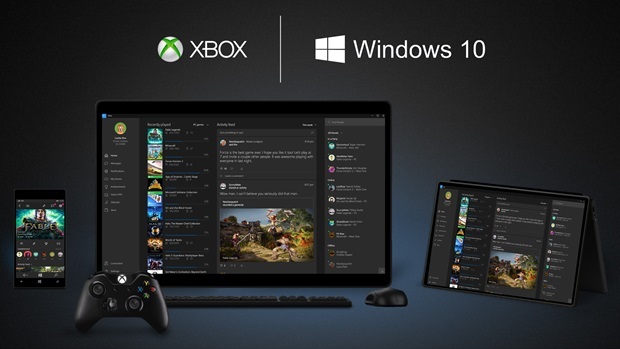 Windows 10 users will be able to game together with Xbox One owners from their PCs, bringing cross-platform gaming for the first time. 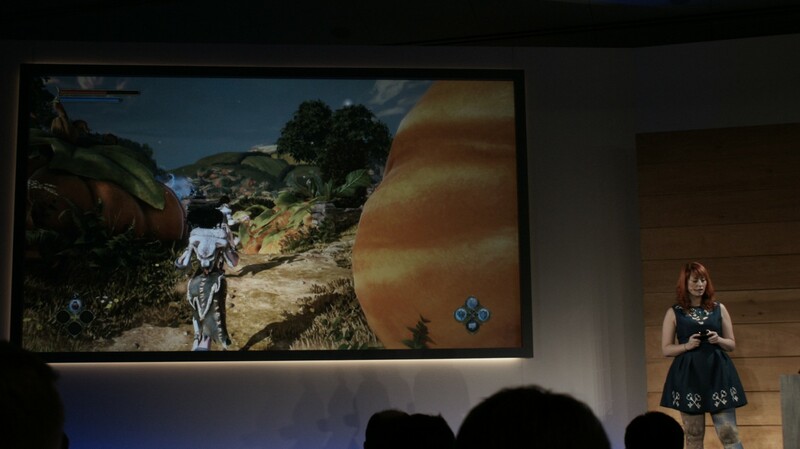 Fable Legends will be the first game supported. 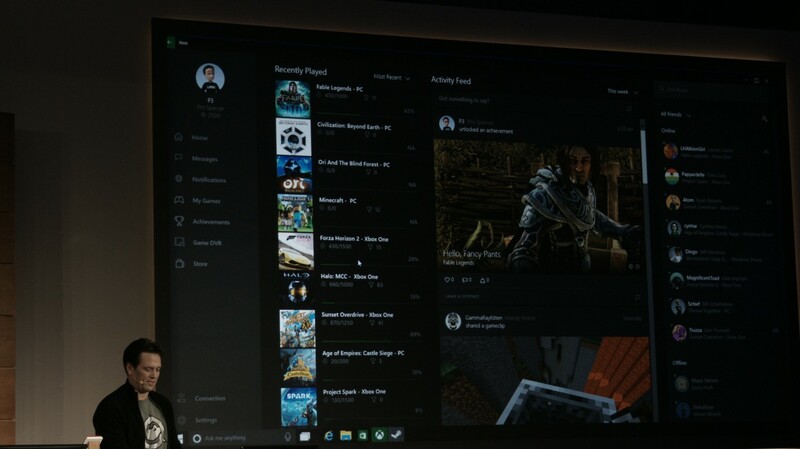 You’ll be able to use Xbox’s GameDVR feature on Windows to share videos and screenshots from even non-Xbox games by just hitting Windows+G. The company also shared details on DirectX 12 that will significantly improve graphics on existing hardware, allowing developers to squeeze out better graphics on the devices you already own. DirectX12 also cuts power consumption “in half” for mobile phones, according to Spencer. Third-party framework Unity will also fully support DirectX 12. Xbox One owners will be able to stream their games directly to Windows 10 devices in their home, in real time with no apparent lag. 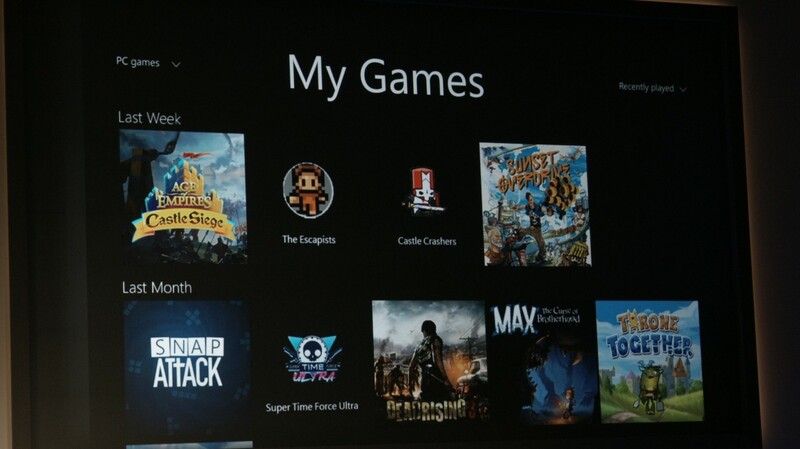 It’s not clear if you’ll be able to stream all your games, or just some of them.